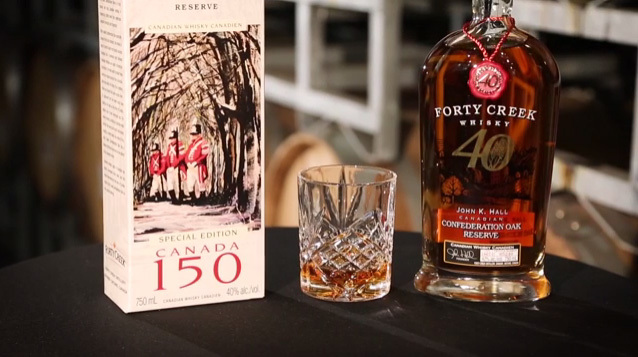 TORONTO, ON – Known for its diverse portfolio of complex yet approachable whiskies, Forty Creek is commemorating Canada’s 150th anniversary with the release of a special, limited-edition package of its artfully crafted Forty Creek Confederation Oak blend. Forty Creek Whisky has called Grimsby, Ontario, its home for over 20 years. The area is also known for being one of the most historically significant areas from the pre-Confederation era. Grimsby – formerly known as ‘The Forty’, is nestled in a region known as home to some of the most impactful battles fought during The War of 1812. These events would ultimately form the fabric of what would become our great country, while also defining the Canadian frontier. 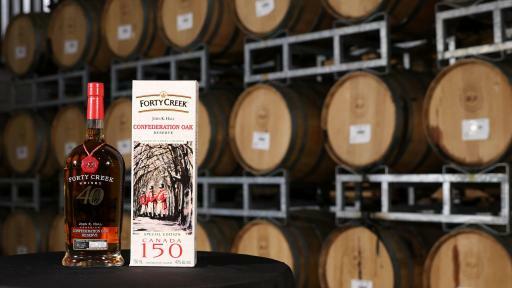 As a means of celebrating both the formidable spirit of the early settlers that established such a significant portion of Canadian history, and the country’s monumental 150th birthday, Forty Creek invited the Canadian artist community to share their visions for a new package that would showcase the Grimsby region and Canada’s rich cultural heritage. 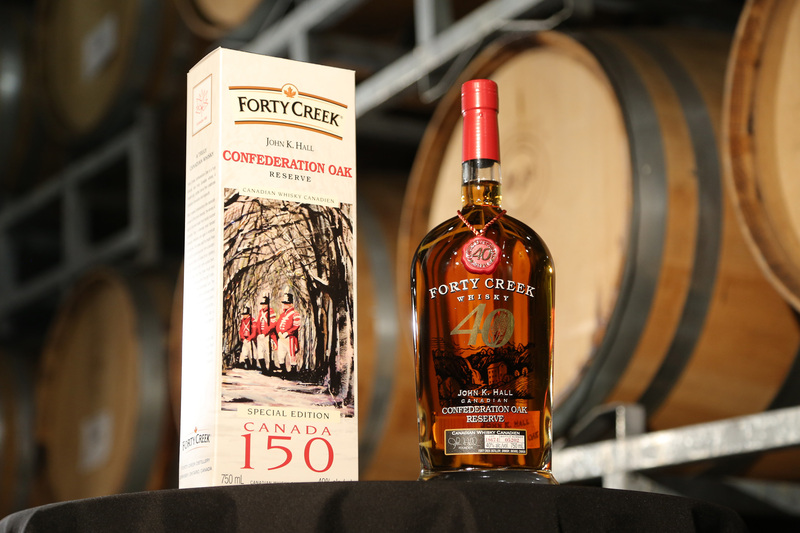 Gracing the package of this special edition of Forty Creek Confederation Oak is a spectacular piece titled, To the Confederation, by Calgary, Alberta, artist Sheila Schaetzle. An elected member of the Society of Canadian Artists, Sheila’s artwork has been exhibited across the country. Aged in barrels crafted from locally-sourced Canadian oak trees first rooted at the time of Confederation, Forty Creek Confederation Oak pays homage to the series of events that helped shape the foundation of Canada. 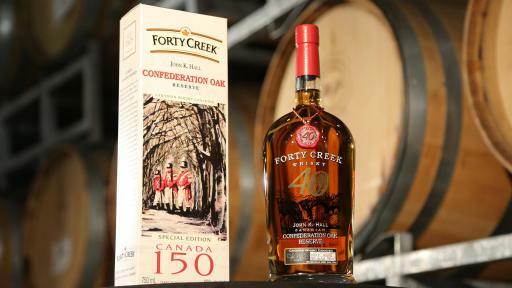 A full-bodied whisky, the Forty Creek Confederation Oak has an ever-evolving aroma that starts with layers of maple, raisin, vanilla and fig, followed by spice and orange blossoms. As the whisky is enjoyed, flavours of vanilla and buttercream emerge on the palate with pepper spice framed by oak, walnut and smoke that leads to an exceptional, long-lingering finish. 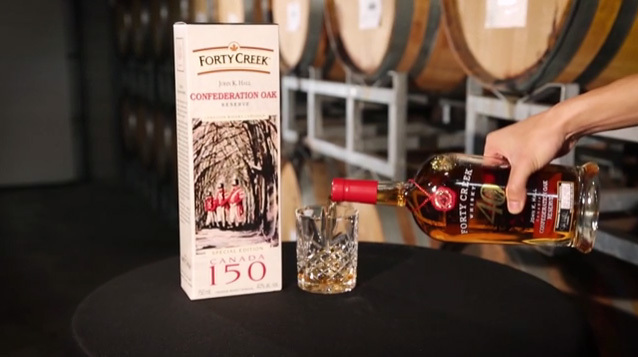 With its excellent balance and vibrant flavours, Forty Creek Confederation Oak is truly an icon of Canadian whisky that is best when sipped and cherished. *Product availability and pricing may vary depending on region. • Forty Creek Confederation Oak- pricing from $69.95, British Columbia, Alberta, Saskatchewan, Manitoba, Ontario, New Brunswick, Newfoundland, Nova Scotia. 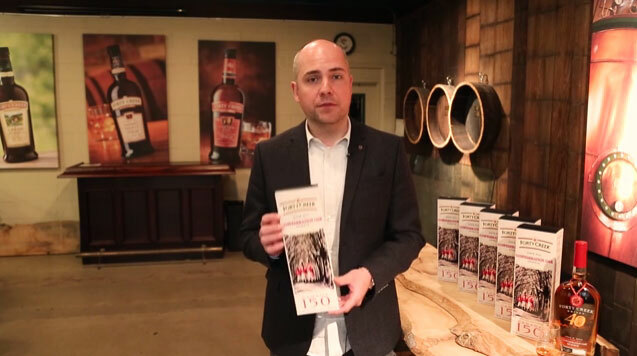 Davide Campari-Milano S.p.A., together with its affiliates (‘Gruppo Campari’), is a major player in the global beverage sector, trading in over 190 nations around the world with leading positions in Europe and the Americas. The Group's portfolio includes over 50 premium and super premium brands. Internationally-renowned brands include Aperol, Appleton Estate, Campari, Cinzano, Grand Marnier, SKYY Vodka and Wild Turkey. 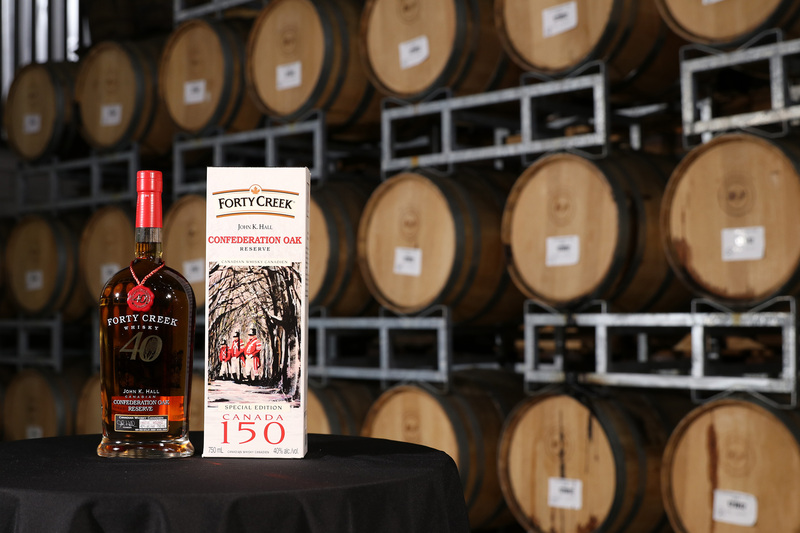 In 2014, The Group acquired Forty Creek Distillery Ltd., a Canadian spirits company with a portfolio of brands including whisky, vodka, brandy, rum and liqueurs. Internationally-recognized for its superior taste and quality, the multi-award winning Forty Creek Whisky serves as both the fastest growing brand in its category across North America and Canada's first successfully launched whisky brand in over 70 years. Headquartered in Sesto San Giovanni, Italy, Campari owns 18 plants worldwide and has its own distribution network in 20 countries. The Group employs around 4,000 people. The shares of the parent company, Davide Campari-Milano S.p.A. (Reuters CPRI.MI – Bloomberg CPR IM), are listed on the Italian Stock Exchange since 2001. For more information: http://www.camparigroup.com. Please enjoy our brands responsibly.